This a list of the top sewing machine brands, companies or manufacturers. From the time of the industrial revolution till now some brands have come and go. Some has remained with us or rebranded. On this article, I go through some of the popular brands still available today and highlight some of their top selling products. Singer Corporation initially known as Singer & Co was established in 1851 by Edward Clark who was a lawyer based in New York, and Isaac Merritt Singer from which the Singer name was derived. The Singer Corporation based in La Vergne, Tennessee was rebranded as the Singer Company in 1963. Over the years, Singer has developed into a top sewing machine brand and it has continued to produce time-tested sewing machines which have evolved over time since manufacture of their first sewing machine for domestic use. The Singer 8060 is one Singer’s top-selling products you will find in the marketplace. It offers you everything needs to work on any kind of sewing fabric or material. Another singer product that easily comes to mind is the Singer 7258. This sewing machine is perfect for beginners to intermediate level fashion designers. Brother Industries Limited is a Japanese owned multinational manufacturing company based in Nagoya, Japan. The company began its operation as Yasuj Sewing Machine Co. but established an affiliate outside the shores of Japan as Brother International Corporation. This was later changed to Brother Industries limited. The Brother company manufactures its computerized sewing machines in Taiwan while its mechanical machines are manufactured in Zhuhai, China. It recently opened what some consider to be the largest one brand sewing machine manufacturing plant in the world in Dong Nai Province, Vietnam. 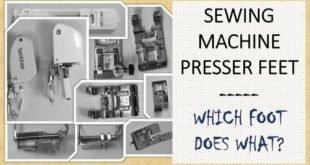 As at May 2017 the company had manufactured over 60 million home sewing machines worldwide, with some of their product ranking very high amongst sewers worldwide. The Brother CS6000i Sewing Machine is ever present in any list of top sewing machines available in the market today. The CS6000i is very flexible because it allows one to carry out several functions like crafting projects, adding decorative stitches to creating buttonholes, in addition to a whole lot more. On the other hand, the Brother XM2701 is a Budget-friendly sewing machine that allows professional fashion designers move around easily with it. It is also ideal for beginners who are learning how to use a sewing machine. Janome is a sewing machine manufacturing company based in Japan with manufacturing factories also located in Thailand and Taiwan. The company was initially established as Pine sewing machine in October 1921 and it later established the Janome trademark and subsequently changed its name to Janome Sewing Machine Company limited in 1954. 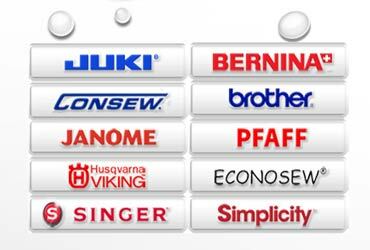 The Janome brand is one of the top sewing machine brands in the world today with subsidiaries in America and Switzerland. Janome prides itself on being the first sewing machine brand to develop a computerized sewing machine which can be used in the comfort of your home. Janome is also the first sewing machine brand to develop a professional embroidery machine for home use. The Janome Magnolia 7330 is considered by me as one of the best sewing machine ever manufactured by Janome. I considered it, the most advanced in the Magnolia series of sewing machines and representing full value for money with its sturdy looks. Another Janome product worth mentioning is the Janome HD3000 which has a reputation for being perfectly suitable for sewing leather materials. The Juki Corporation located in Tokyo, Japan specializes in manufacturing industrial and (recently introduced) domestic machines. Juki currently ranks as the best industrial sewing machine manufacturer in the world with manufacturing plants in China, Japan, and Vietnam. It also has markets (distribution outlets) in several parts of the world (150 countries and counting). The Juki Corporation was initially known as the Tokyo Juki Industrial Company limited but changed its name to Juki Corporation in 1988. The Juki’s motto which is “Mind & Technology” also serves as its customer’s creed with means “emotionally accessible technology”. Asides being in the industrial sewing machine business, Juki also manufactures home sewing machines for hobbyists. With sewing machine sales in over 150 countries around the world, Juki can in all ramification be considered as a top sewing machine brand. The company has manufactured several sewing machines, but one that really stands out is the Juki DDL 8700 sewing machine. The DDL 8700 is an industrial sewing machine consisting of a singular needle lockstitch. Another sewing machine from the Juki stable to check out is the Juki TL – 2000Qi. Bernina International AG is a sewing and the embroidery machine manufacturing company that is privately owned by Fritz Gegauf, a Swiss inventor. This sewing machine brand was established in Steckborn Switzerland in 1893. 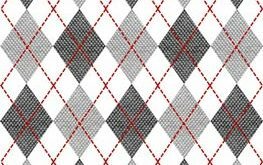 Bernina specializes in manufacturing and selling products for the textile industry. Over the years, the company has grown into specializing in manufacturing sewing machines, Serger/Overlocker machines, embroidery machines and computer software for making embroidery design. Bernina International AG over the years have manufactured some excellent sewing machines but one that stands out is the Bernina 830. Considered to be in a class of its own, the Bernina 830 is considered to be the mother of all other sewing machines in its category. The name or the brand Toyota is typically associated with the manufacture of highly reliable vehicles. That said, will be taking a look at another aspect of the Toyota brand which is the sewing machine brand that also produces high-quality sewing machines. The Toyota sewing machine comes in two variants, first of all as an industrial sewing machine (STF39) and secondly as your everyday household sewing machine (STF17). The STF39 is the industrial machine model that comes with about 20 built-in stitches, options for embroidery, single buttonhole and double needle functionalities for sewing either jeans, leather or canvas. The STF17, on the other hand, isn’t as hard and rugged as the STF39 but it is also capable of carrying out certain functions. PFAFF is a German sewing machine manufacturer established in Kaiserslautern, Germany in 1862 by Georg Michael Pfaff. The first Pfaff sewing machine manufactured was handmade which was designed to manufacture shoes and sew leather fabrics. PFAFF gradually expanded its operation and in 1885 it opened a sewing machine store in London. After the death of the founder Georg Michael Pfaff his second son, Georg Pfaff took over the management of the company and expanded it to great success. Sometime in 2013, a German holding company SGSB acquired all the shares of PFAFF industries and subsequently took over the ownership of the company. One of the most reliable sewing machine manufactured by PFAFF industries is the Pfaff select 4.2 sewing machine which is commonly referred to as the “workhorse” due to its very strong build. Select 4.2 combines its high-speed industrial component together with its powerful motor to sew fabrics of all kinds with minimal stress. Melco Holdings Inc. was established in 1975 by Makoto Maki as a family enterprise situated in Japan. Notable amongst Melco Holding is the Buffalo brand. Buffalo Inc. represents one of 14 different subsidiaries that make up Melco Holdings Inc. The company initially started off manufacturing audio equipment before branching out into other businesses. Melco Holdings have overtime diversified their portfolio to include embroidery machines and embroidery design digitizing software. Over the years there have been able to partner with some large clothing manufacturing companies like Nike, IZOD, and Tommy Hilfiger to mention a few. 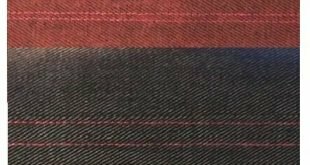 One product that stands out from the Melco stable is the EMT16 Plus embroidery machines. The EMT16 Plus has been carefully designed and crafted to meet all your design and sewing machine needs. Highlead is a Chinese based Sewing Machine brand with a large manufacturing plant situated in Shanghai China. The Plant covers over 200,000 sq. ft. and has almost 500 workers working on site. In 1993, the company signed a Business and Technical sharing agreement with Mitsubishi Electric Corporation, Japan. This agreement ensured that several Mitsubishi products were manufactured of the Highlead production line. Highlead brand also has several partners who specialize in selling their products some include; Shangai Biaozhun Hailing Sewing Machinery Co. Ltd, Friedlander Sewing Machine Company which is the sole company responsible for selling Highlead sewing machines in the United States. Highlead has produced some high-quality sewing machine over the years. Some of the products that easily come to mind are GC1088 Single needle high-speed lockstitch industrial sewing machine, GC128-MD3 Single needle UBT lockstitch with auto thread trimmer and stitch program, GC188 MDZY-4 Direct driver sewing machine with auto thread trimmer, and stitch counter panel. Ricoma International Corporation is a sewing machine brand that has its manufacturing plant situated in Shenzen, China, while its corporate headquarters is located in Miami, United States of America. The factory in China is a spacious plant with state-of-the-art facilities properly managed to meet customer’s needs and demands. Ricoma prides itself on delivering high-quality products, and support services to all its customer base all over the world in an efficient and timely manner. The Ricoma RCM-1501 TC-7S Embroidery Machine is perfect for industrial and semi-industrial purposes, it can be used to design on almost any kind of fabric from caps, to shirts and even shoes. Husqvarna Sewing Machines now known as VSM Group AB is a company located in Huskvarna, Sweden. Husqvarna/Viking brand was established in 1872. This company has a reputation for designing “intelligent” sewing machines. The VSM Company is known to produce several types of sewing machines with the Designer series at the top end of the pile and the non-computerized machines like the Huskystars. The sewing machine industry continues to witness constant changes yearly and as a result, the manufacturers are constantly trying to meet up with this upgrade. Sometime in 2006, the VSM Group was acquired by Kohlberg & Co. the company that owns the brand Singer. This has lead to a merger of the three companies in one known as SVP worldwide. Where SVP stands for Singer, Viking, and Pfaff respectively. SVP’s head office is situated in Hamilton, Bermuda. Husqvarna Sewing Machine Designer Topaz 40 is one of the best-selling products of the Husqvarna sewing machine brand. It is designed with a large colour touchscreen which makes for easy navigation that can help view text and designs on the screen. Consew Sewing Machine is manufactured and designed by Consew. The company was established in 1898 and over the years has developed a reputation of designing one of the most reliable machines in the sewing industry today. They are into the manufacturing of several sewing, pressing and cutting equipment. This includes other products related to the fashion and textile industry. Consew has several offices located in Los Angeles, Miami, and New Jersey, in addition to having a very large distribution network that spans the entire globe. This ensures they can supply prompt after-sales service when you need them. Popular amongst the Consew machine production line is the Consew 206RB-5 walking foot industrial sewing machine. The Consew 206RB-5 is regarded as the number one choice for professionals. It considered being one of the most trusted machines available in the market today. It‘s perfect for leather, auto, furniture, canvas and marine jobs. Simplicity Sewing Machine Company is a family owned sewing machine brand. They have been into the manufacturing of vacuum and sewing machines for over forty years and counting. The Company is situated in California, United States of America. Its first store was opened in San Marcos with another opened in San Diego. Because of its ever-expanding customer base, the company has been able to open a large manufacturing plant situated at the centre of San Diego. Established in 1858 by Thomas H. White, Templeton, Massachusetts as the White Manufacturing Company. It later changed its name to White sewing machine Company in 1876 when the company was incorporated. Over the years, the company has evolved from a top sewing machine brand and diverted into other industries. As at 1986 the company was known as Electrolux. Sometime in 2006, Electrolux let go some of its production lines to the Husqvarna brand name. Although the White brand name is still functional until this day, most of its products user manual is usually provided by the SVP Company through the Singer brand webpage. The first sewing machine ever to be manufactured by the company was the White Sewing Machine. It was designed using a vibrating shuttle bobbin driver and this was what was used to differentiate this model from subsequent models that were manufactured. The design feature made the machine to be known worldwide as the “White Vibrating Shuttle”. Handi Quilter was established by Laurel Barrus a life-long sewing enthusiast. The idea to develop the Handi Quilters sewing machine brand came along when she was searching for a way to move her portable sewing machine quilting frame to a cabin owned by her family. Laurel couldn’t find anything suitable, so she decided to develop something of her own and she could use with her own personal sewing machine. The idea was that it should be small to be able to stack000 in her car but adjustable so it could be able to contain large or small wilts as well. When her friend saw her new frame, they were all interested and wanted one for themselves as well. It was at this point she took her frame to the International Quilt Festival in Houston. From the time of the festival in October 1999 up until Christmas Laurel continued to receive orders for her new quilters which she had named Handi Quilters. After witnessing demand for her quilters’ skyrocket, Laurel invested and designed a new line of products that would be known as the “HQ 16”. The HQ 16 comprises of a quilting machine and an adjustable frame that was used to support the machine. She went on to employ the service of experienced mechanical engineers and support staff to help with the manufacturing and distribution of her product. Today Handi Quilters comprises of a 70, 000 sq. ft. offices complex that houses a manufacturing and production plant located in North Salt Lake, Utah. It has established itself as the number one sewing machine brand for quilters’. If you ever want to buy a sewing machine, look out for these brands.